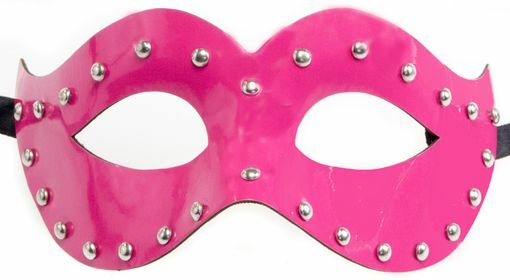 Kristen Neon stud mask is great for any party! This mask glows under black light. Comes with black ribbon ties. Color hot pink.